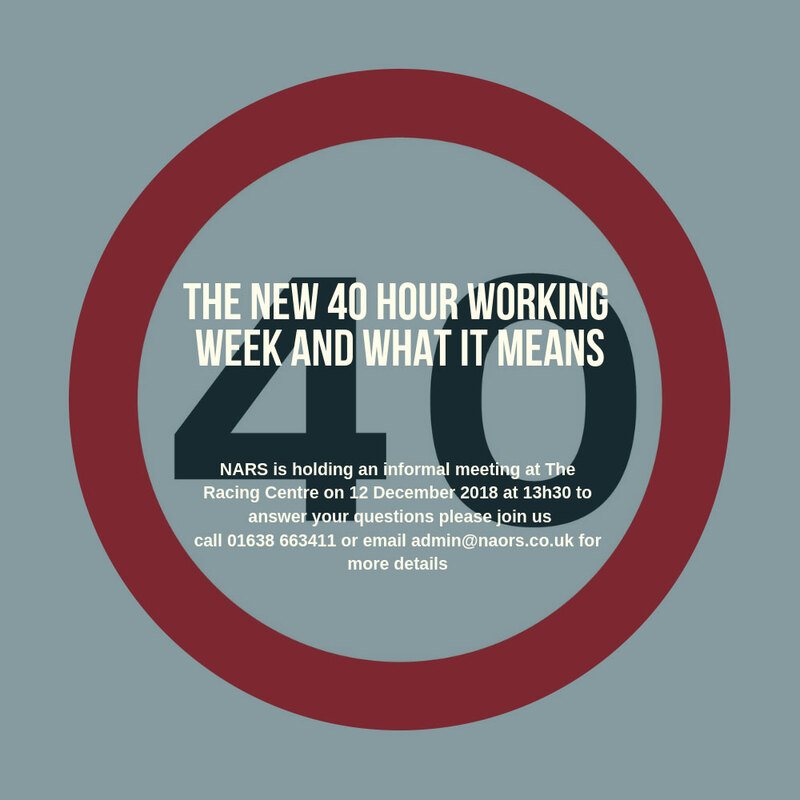 The new MOA comes into effect today, 10 December 2018 but there is some confusion as to what the new 40 hour working week actually means to staff, so NARS is holding a meeting at The Racing Centre, on 12 December at 13:30 to explain this fully and answer all your questions. This will be an informal lunch meeting where we will explain the issues and take any questions you may have. Please join us as this is a very exciting initiative and a huge step forward for our industry. With the advent of the new 40 hour week please download the suggested timesheet template to help you keep record of the hours you work. This should be handed in to the office every week. Please contact us if you have any questions at all.